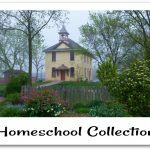 Memoria Press is a regular standard in the curriculum world for Classical Christian Education materials and as homeschooling families, many of us incorporate at least some elements of the Classical Education method. 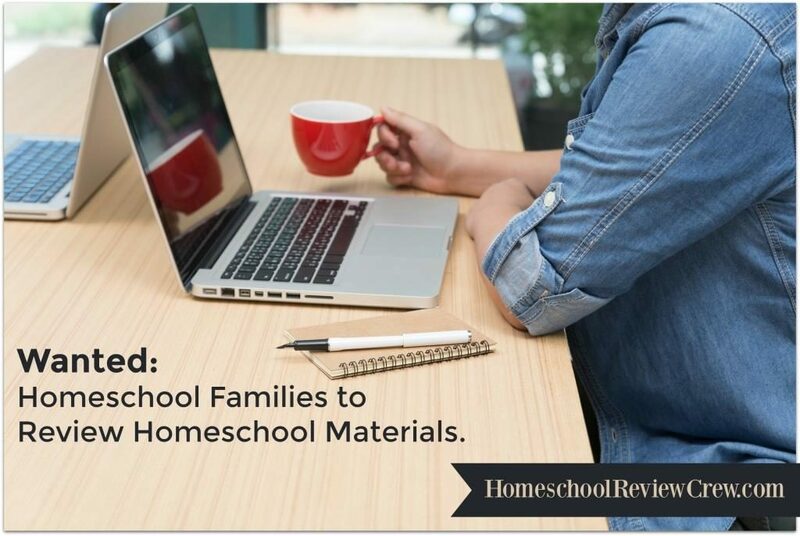 This review is a great opportunity to be introduced to several of their products. 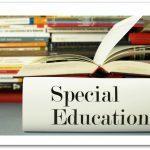 The Traditional Spelling series is a comprehensive, phonetic approach to teaching spelling that never uses incorrect words, always presents words in context, uses sound dictation and teaches vocabulary. 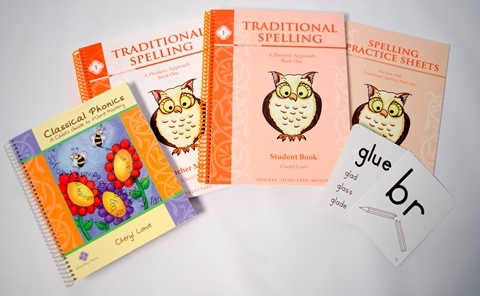 Traditional Spelling I and Traditional Spelling II targets grades 1-3 and includes a teacher’s manual, student book and practice sheets for each level. 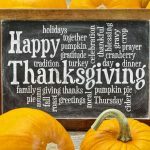 Phonics Flashcards and Classical Phonics, a book of phonetically arranged word lists, are also used in conjunction with both levels to complete all the activities. 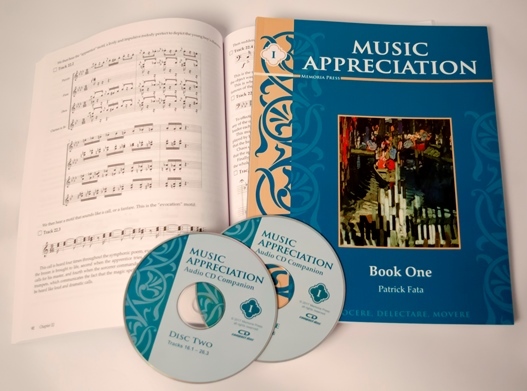 The Music Appreciation I Set includes a Music Appreciation Book I and an Audio Companion CD that includes 26 pieces of music complete with historical context, musical concepts and listening exercises surrounding each piece. The course seeks to deepen students’ appreciation of music through highlighting significant pieces throughout Western classical music and painting their musical and historical backdrop. Did you know that learning Latin can aid so many different subjects and skills in the future? Memoria offers an award-winning Latin program that also results in a study of English grammar and academic vocabulary. 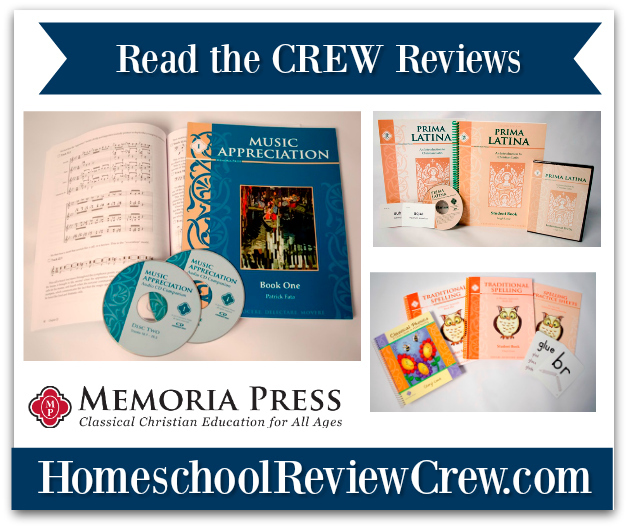 Prima Latina, for grades 1-3, and Latina Christiana , for grades 3-5 are designed with younger beginners in mind, providing step-by-step instructions that are easy to follow. 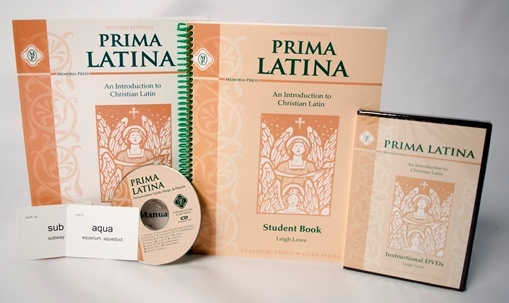 First Form Latin, for grades 4-9, Second Form Latin, for grades 5-10, Third Form Latin, for grades 6-11, and Fourth Form Latin + Henle I, for grades 7-12, all build on each other and come with everything needed to successfully guide students through the journey of Latin Grammar including instructional DVDs, flashcards, student texts, workbooks, teacher’s manuals, and teacher’s key. 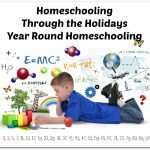 A big thank you to Amy of the WRITE Balance for writing this introductory post.